As my roommates and I have been trying to relive our glory years (aka kindergarten) by re-watching our old favorites, I’m beginning to notice some of the problems with how the iconic Disney Princesses portray romance. Of course life isn’t always a fairy tale – that becomes pretty clear when a pumpkin does not appear to drive you home at the end of the party – but what the princesses prepared me for is farther from reality than I ever thought it was. The Little Mermaid: Ariel’s basic story is that she’s a mermaid hanging out Under The Sea when a drowning prince catches her eye and all of a sudden she wants A Whole New World. So what does she compromise in order to chase her man? Her voice. There lies the first problem. She has to stay silent for the majority of the movie. Not to mention that for a good portion of her screen time, Ariel is either in her bra or sometimes she’s completely naked. Yeah she gets her voice (and some clothes) at the end but by then the point has already been made. Lesson to be Learned: If you want a guy to spend time with you sit quietly with little to no clothing on. Pocahontas: This princess might be seeing or listening to (was never quite sure about this) the colors of the wind, but the basic premise of her story is to stay away from people that are different than you. When she tries to see past race she’s rewarded with her fiancé getting killed, the guy she cheated on him with getting shot and the almost destruction of her village. Ready to get multi-cultural? Lesson to be Learned: If you fall in love with someone outside your immediate circle you risk certain heartbreak and possible death. 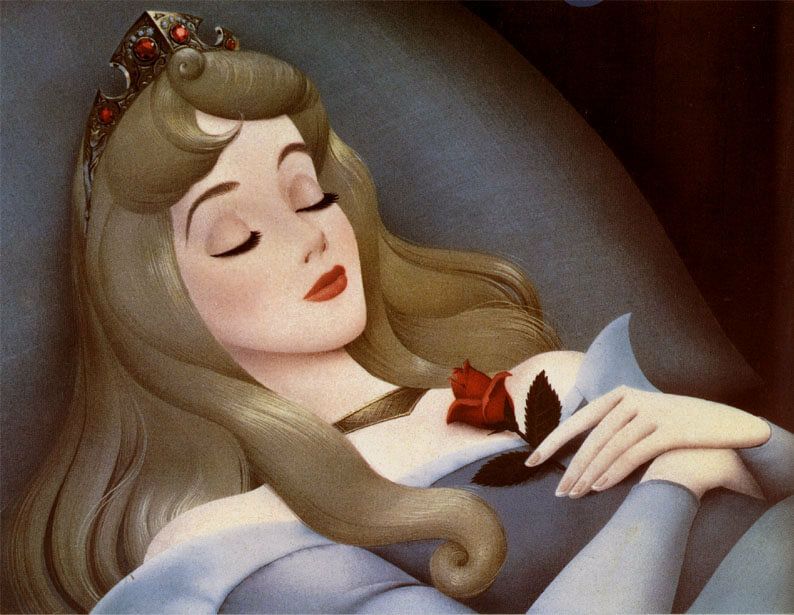 Sleeping Beauty: I feel like the title speaks for itself here. An evil witch puts her to sleep with a magic spindle (really, you couldn’t do better than a spindle?) and she’s pretty much out for the rest of the movie. It’s up to the brave prince to come to her rescue, fight all her battles and give her the kiss of life. Lesson to be Learned: If you literally lay down and do nothing with your life a man will come and solve all your problems for you. Cinderella: This princess basically cleans all day, listens to what everyone else tells her to do and never makes any of her own decisions. A fairy godmother has to come and practically pry her out of the house, bribing her with a pretty dress and a pumpkin. She goes to the ball, has some serious chemistry with the prince and then goes home, back to her laundry or whatever. If the handsome prince hadn’t gone to look for her she probably would have been doing dishes with mice for the rest of her life. Lesson to be Learned: If you’re good and stick to your womanly chores something magical will happen and you’ll find your prince. Beauty and the Beast: This story is about this monster guy who basically takes a young, attractive girl captive and locks her in his house with him. He roars at her whenever she gets a little snippy and won’t let her out to see any of her family or friends. When he finally does let her go she comes back to him and true love prevails as he becomes the man she always knew he was inside. Lesson to be Learned: It’s OK if your boyfriend is abusive! And if you leave him make sure you get back together – one day he’ll be perfect! So basically Disney is telling us: the skankier the better, if you’re not white don’t date a white guy, beauty sleep is all you need, chores are the most important and your boyfriend may be a jerk now but things will get better. Uh, sorry, doesn’t work that way. I mean, yeah, if I went to the bar in just my bra I’d probably get some attention. But at the end of the night if I leave my shoe behind I’m limping home alone.